What’s your favorite food combination? Burger and fries? Chocolate and caramel? Cupcakes with sprinkles? 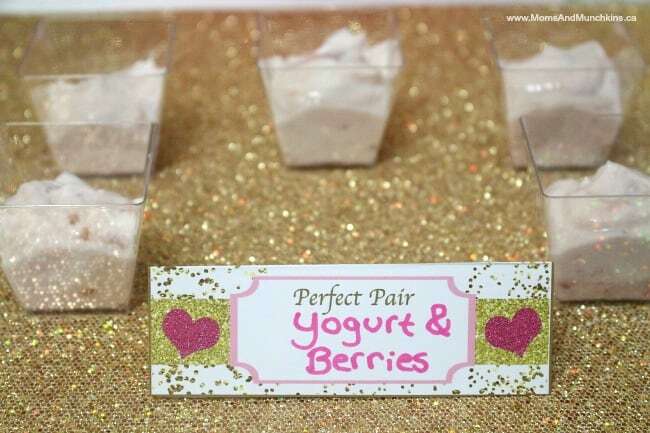 This fun Perfect Pair Bridal Shower set celebrates the perfect pair couple (bride and groom) along with delicious flavor combinations. It’s a cute set that you can customize with all of your favorite food combinations. This set is now available in our Etsy shop. The invitation is personalized for your bride & groom. There are so many tasty ideas for this theme. 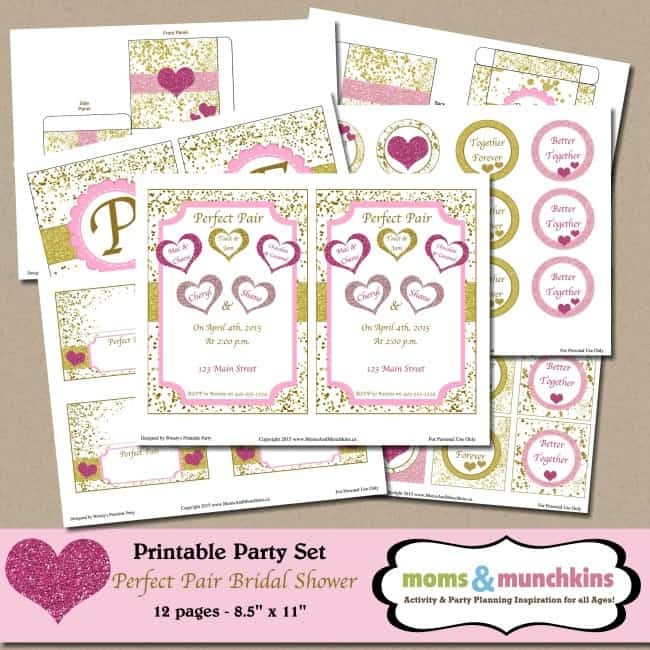 This printable set includes the colors pink & gold which are both popular with parties this year. 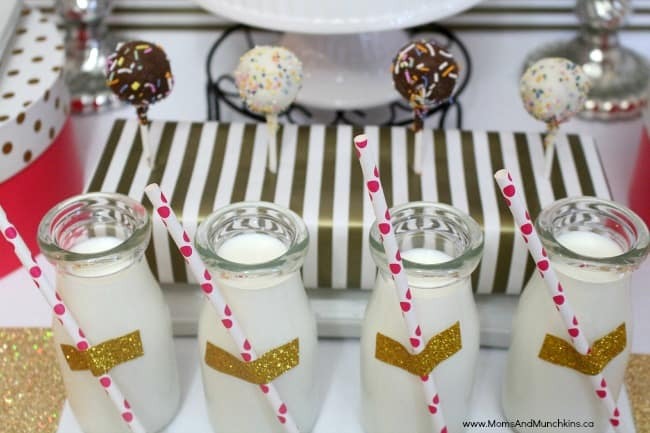 I used gold striped wrapping paper as a backdrop to the party table as well as on a stand for cake pops. 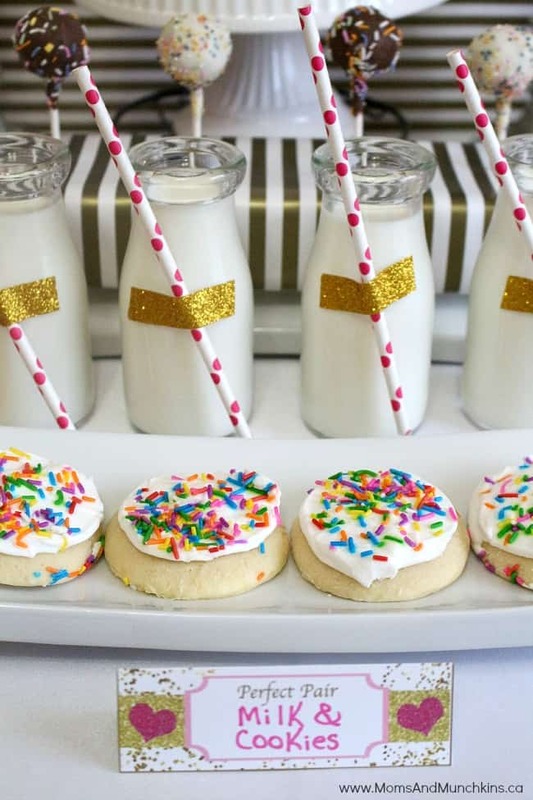 I love these cute milk bottles and I dressed them up a little bit with gold washi tape to hold pink polka dot paper straws. 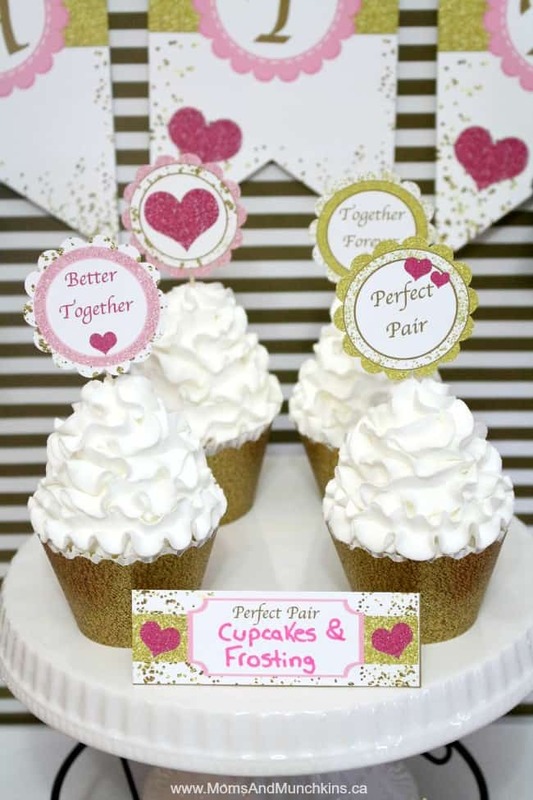 The printable set includes cupcake circles that you can use to decorate cupcakes, bottles, favors or as envelope seals for invitations. 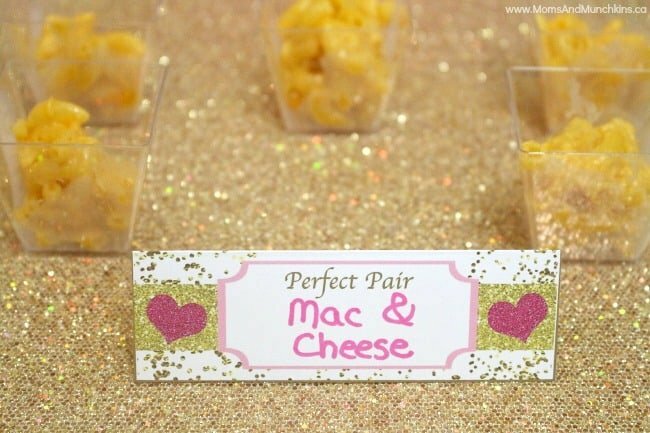 Mini appetizer dishes were used for Mac & Cheese and Yogurt & Berries. The placemats here are simply gold sheets of scrapbook paper. 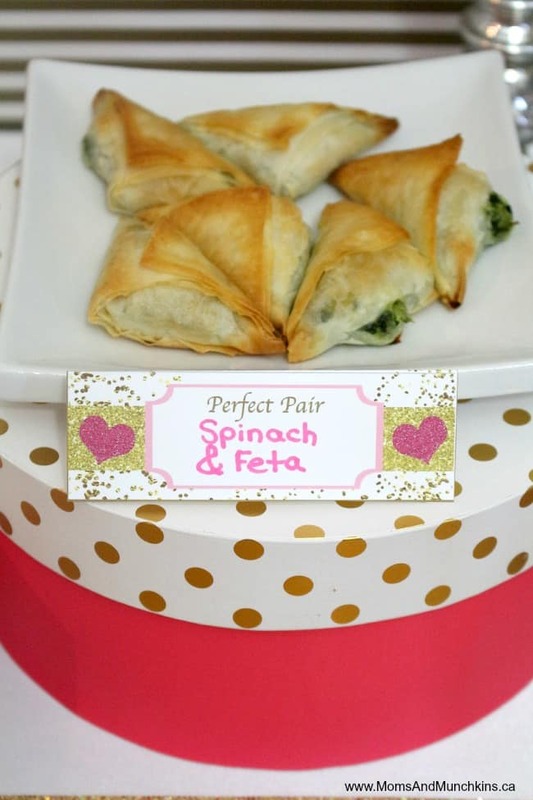 My favorite food combination – spinach & feta – were placed on the table as an appetizer. I used pink & gold gift boxes and stands to hold plates of food. 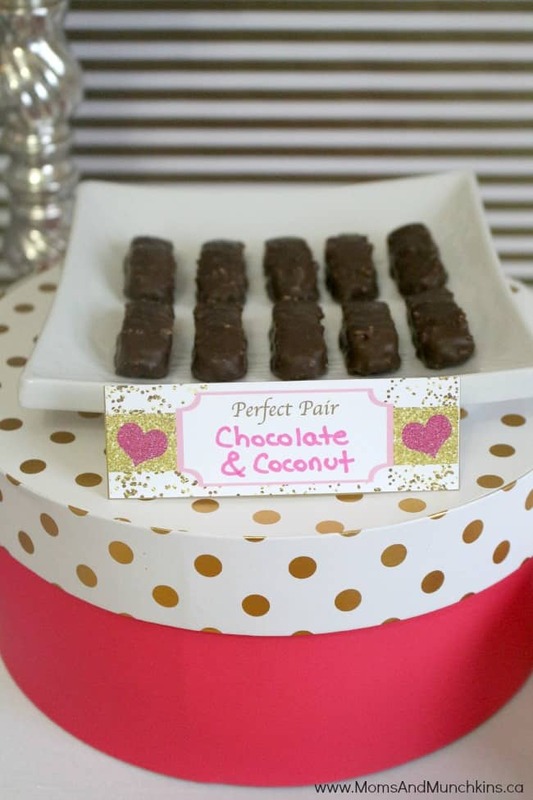 The Perfect Pair favor boxes can be used to send guests home with some delicious pairs like chocolate & coconut cookies. 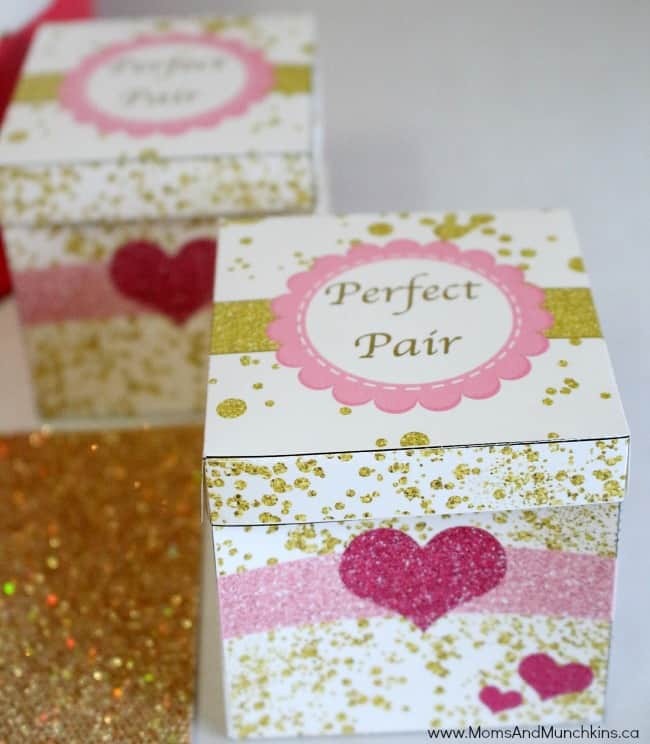 This Perfect Pair Bridal Shower set is now available in our Etsy shop. 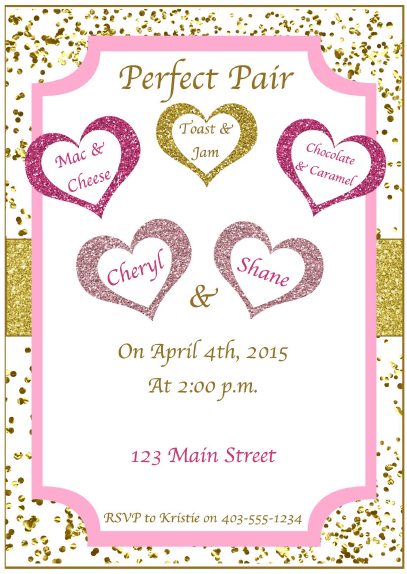 Thank you to Wendy of Wendy’s Printable Party for designing these printables for us. 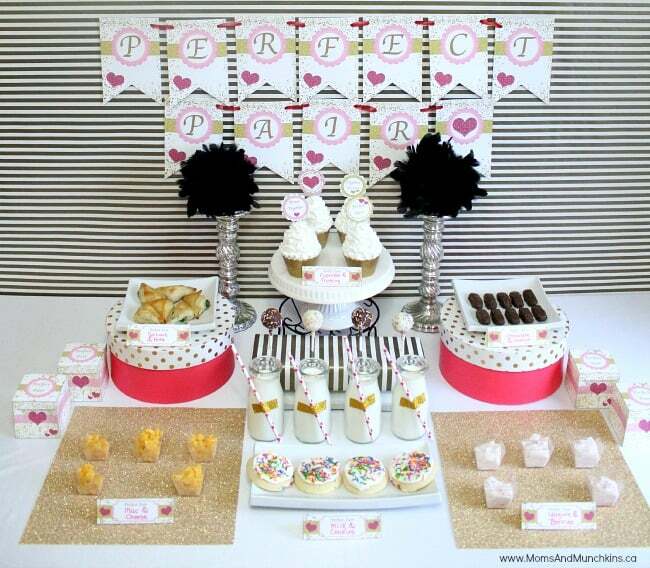 Have a party theme you’d love to see printables for? Contact us and let us know! 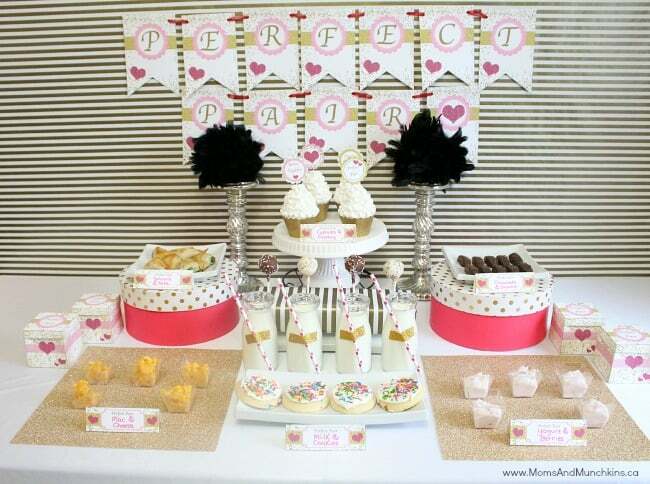 If we use your idea as inspiration for a future party set, we’ll send you that set for free! 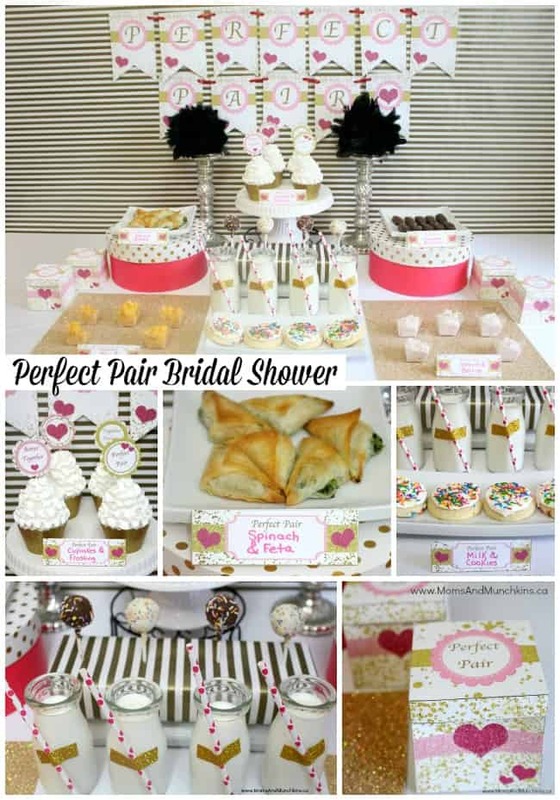 For more bridal shower ideas, visit our special Bridal Shower page. We’re always adding new & creative ideas. Never miss an update by following us on Facebook, Twitter, Pinterest, Google + and Bloglovin’.